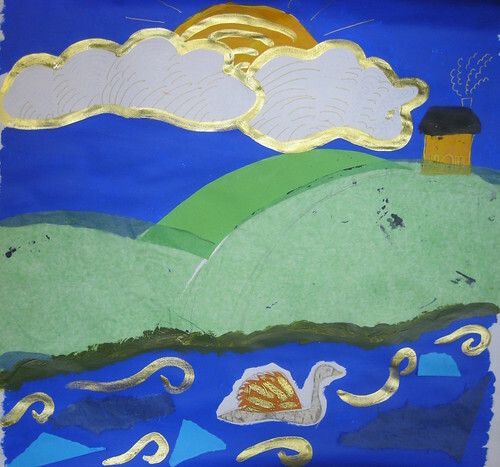 Last week's Holiday Activities at Orleans House saw my 9-14s group creating illustrations of Indian Folktales inspired by the enormous, eccentric works of Piyali Ghosh, which form part of the Journeys exhibition. 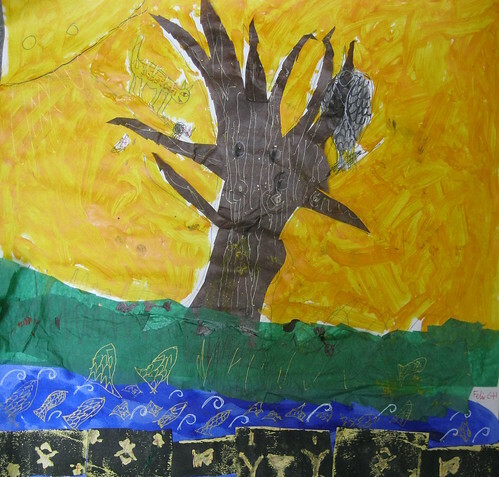 In a day which used printmaking, collage, painting and drawing, as well as getting to know their folktale of choice, we had a grand old time! Here are illustrations of the Golden Swan and the Blind Vulture.